"You have no idea what a pleasure it is to finally beat you… Enjoy your retirement." Disney-Pixar has released another new full-length trailer for Pixar's sequel Cars 3. 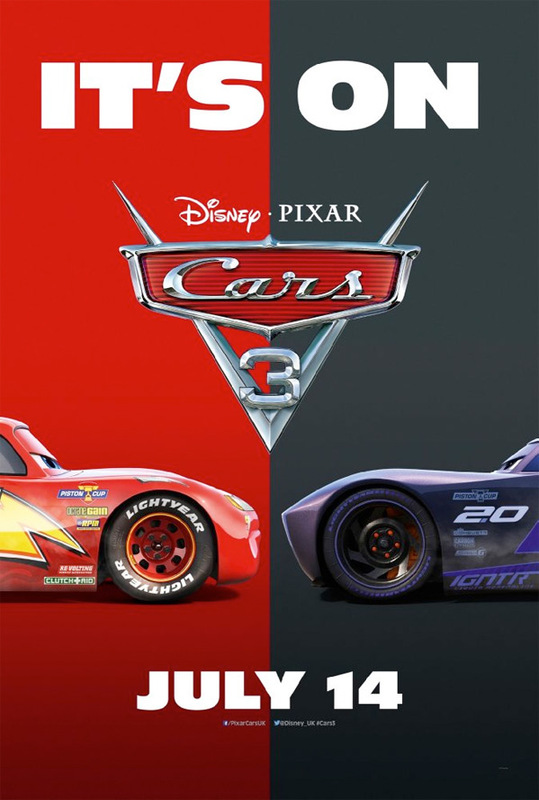 From all the other trailers we've already seen, we know the story is about Lightning McQueen dealing with being beaten by younger, more high tech racers. This trailer features more footage of rival racer Jackson Storm (voiced by Armie Hammer) and some of the goofy antics (including a VR scene) that Lightning gets into trying to get back to being the best. Owen Wilson returns as McQueen, with a fun voice cast including Armie Hammer, Bonnie Hunt, Tony Shalhoub, Katherine Helmond, and Paul Dooley. This actually looks better than expected, but perhaps that's because I don't hate this franchise as much as some other film fans do. Rev things up below. You can still watch the first teaser trailer for Pixar's Cars 3 here, or the second trailer / full third trailer. Blindsided by a new generation of blazing-fast racers, the legendary Lightning McQueen (voice of Owen Wilson) is suddenly pushed out of the sport he loves. To get back in the game, he will need the help of an eager young race technician with her own plan to win, inspiration from the late Fabulous Hudson Hornet, and a few unexpected turns. Proving that #95 isn't through yet will test the heart of a champion on Piston Cup Racing's biggest stage! Pixar's Cars 3 is directed by newcomer Brian Fee, a storyboard artist and animator (for Pixar) making his directorial debut. The screenplay is written by Daniel Gerson. Disney will release Pixar's Cars 3 in theaters everywhere starting on June 16th, 2017 this summer. How's it look now? Note: the release date seen on the poster above is only for the UK, it's still opening in mid-June in America.